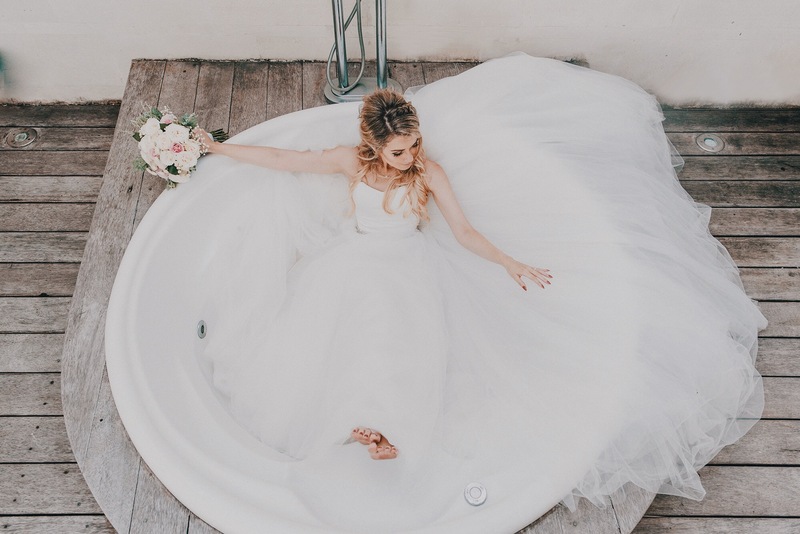 Since I started posting about the dresses I wore for our Wedding, I have been receiving so many questions about both gowns, so now I will spend some time in this post to answer some of these questions. 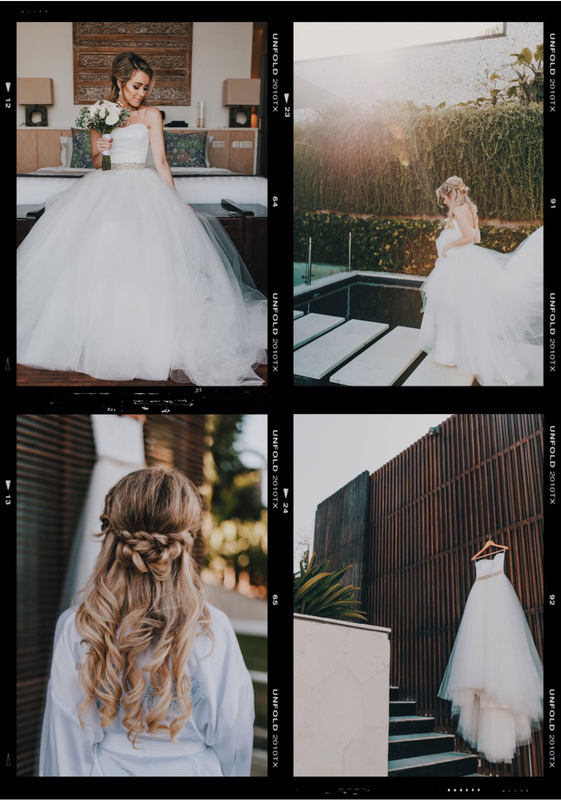 For the ceremony, I wanted to wear something unique and timeless, you know the story… it is your big day, so you deserve to feel like a princess. I definitely felt like a princess wearing the beautiful “Saga White Label” Gown from Gudnitz Copenhagen. 1- The shape is simply perfect, and I love the small, delicate details, such as the belt, the lace up in the back and the very big tulle skirt. 2- It is so elegant and timeless! I simply love how the dress could fit any season, any location, any wedding! 3- It really is a dress of dreams! 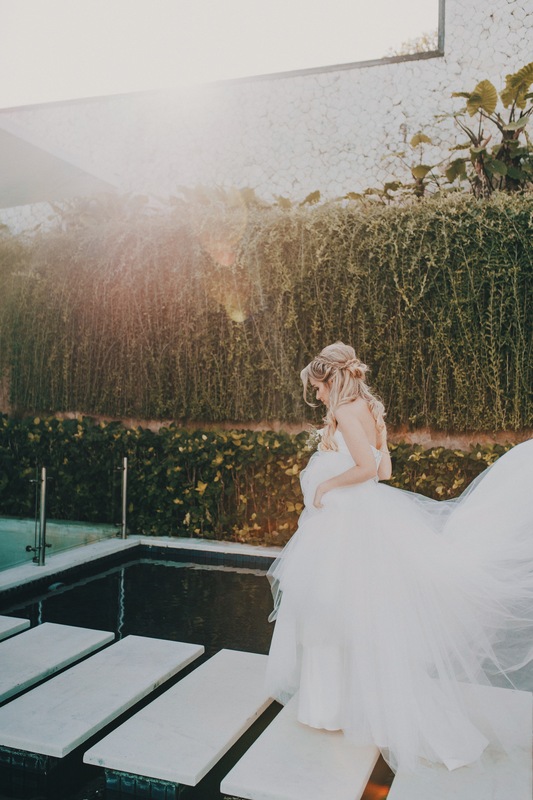 4-I chose not to have a veil, because I wanted to have a hairstyle, matching with the beach and Bali and I thought the dress was strong enough to be without a veil. If you are planning to get married soon, check the Gudnitz Copenhagen website for more options. I am sure you will find a dress that really matches your style and meets your expectations. Everyone there is super attentive and will help you from the fitting to the wedding day.